Monday, September 4th, 2017, 11:30am–Grand Army Plaza, Brooklyn. Sunday, August 27th, 2017, 11:30am–Grand Army Plaza, Brooklyn. 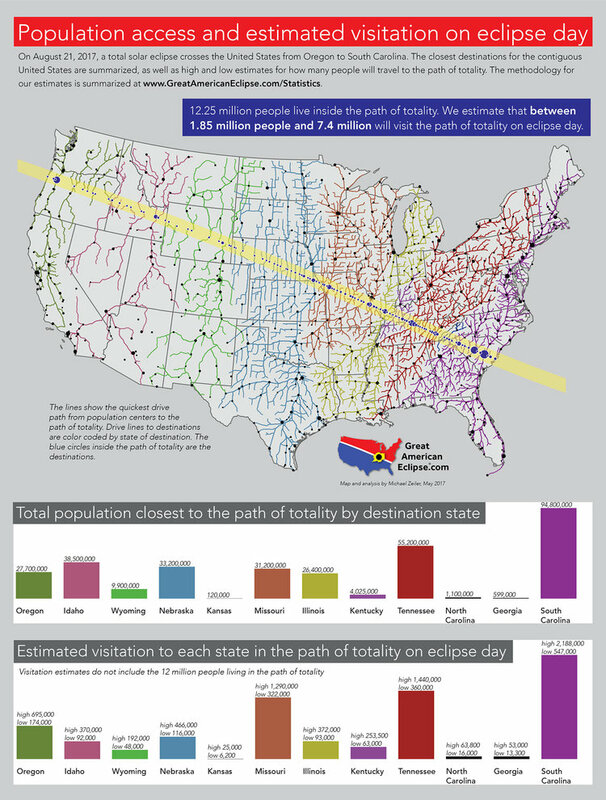 Moving West to East from Oregon, to South Carolina, parts of 14 states will experience totality for up to two minutes and forty seconds, in a narrow seventy mile path (the partial phase lasts over 2.5 hours and will be visible in all the other United States, Canada, and Mexico). Some municipalities across the United States are expecting ‘carmageddon’, as millions of people rush to get into the path of totality, and expect shortages in food, public toilets, housing, gasoline, cellphone power, needing extra police, and maybe even the National Guard to keep order! In NYC, where those conditions are not unheard of, we will be gifted with only a 77 percent magnitude partial solar eclipse (see animation here) starting at 1:23 pm, with a maximum at 2:44 pm, and ending at 4:00 pm according to predictions, which makes for ideal viewing by daytime bicycle professionals on break, such as bike messengers, and delivery people. To view the partial solar eclipse, assuming normal viewing conditions, protective solar filtered glasses are required (unless you don’t mind the risk of going permanently blind), and fortunately a program through our national library system is giving away millions of solar filtered glasses certified safe for free, so you can avoid the eclipse profiteers and forgers. One of the closest libraries for free glasses in NYC is the Clinton Hill Library in Brooklyn (380 Washington Avenue), but you can check this map here for other locations. The Clinton Hill Library is also hosting a free Solar Eclipse Viewing Party on the day of the event. If you do not get solar filtered glasses ahead of time, and want to look at the eclipse through more powerful scientific instruments, in public transportation starved, but easy to bike to Red Hook, at Pioneer Works the AAA is hosting an event, and other local events will be listed on the AAA website as they are announced by member volunteers. Two other places to bike to are the Intrepid Museum, and the Museum of National History which is hosting a special event with a live broadcast of the total solar eclipse during the day at no extra cost. 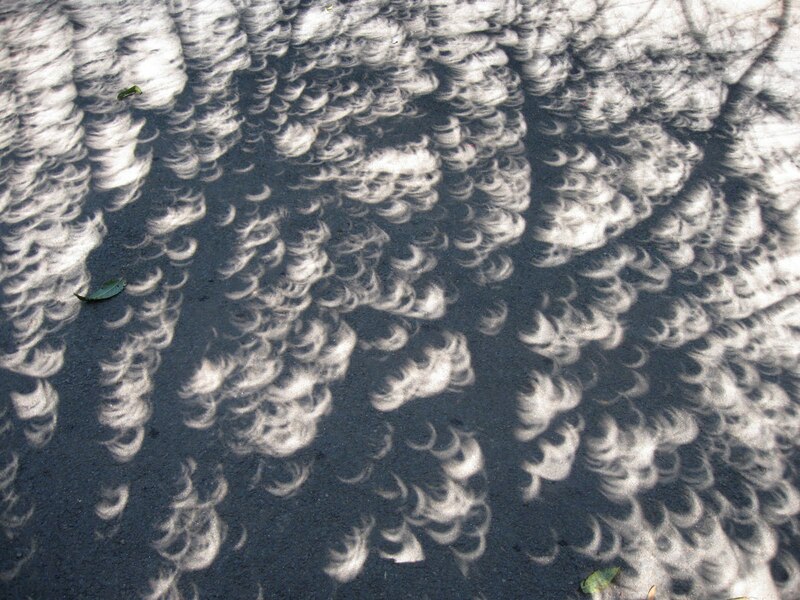 If none of that works for you, you can also try to see the partial solar eclipse by poking a tiny hole in a sheet of paper, and project the image of the sun on the ground (DIY card projector), or try and do the same thing through a cheese grater, or looking for the pattern of the sun through tree leave’s shadows. Meanwhile, our friend, Gary Parkerson, The Pedaling Astronomer got a feature article in the USA Today/Tennessean through our contacts, which might lead to national TV coverage of his project in Nashville where he is set to view the total solar eclipse with other cyclists. 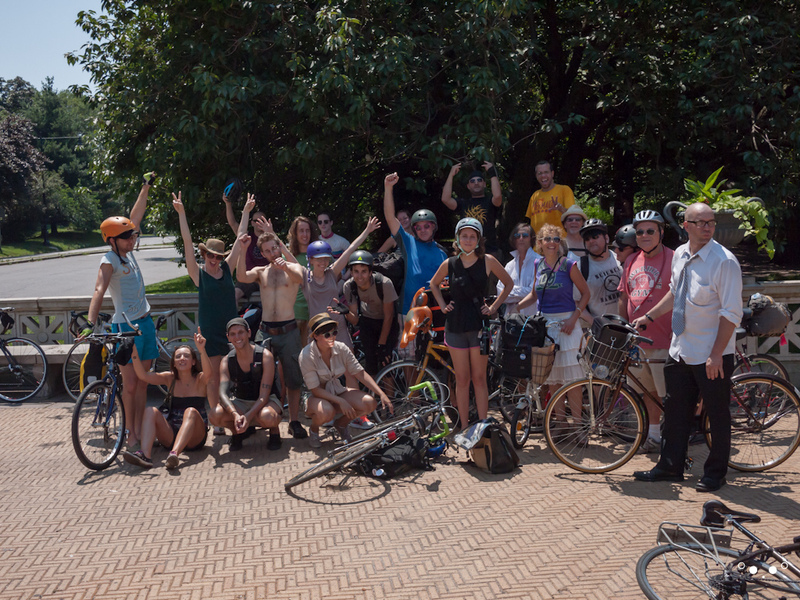 We at BikeBlogNYC wish him the best! While it is hard to imagine what the cyclist did to deserve this beating, and hope for some kind of justice, and a full quick recovery, it should be noted that 27 year old NYC cyclist, Neftaly Ramirez who was killed by a hit and run private, yet to be apprehended, sanitation truck at 12:30 am on Saturday 7/22/2017, prompted another NYPD response of ticketing cyclists (by the 94th Precinct). Transportation Alternatives has a petition on its website “Stop Ticketing Cyclists When Reckless Drivers Kill” that only has three signatures at this time, of the 1,000 sought. Some in the legal field, believe there could be consequences if you kill someone with a motorized vehicle. 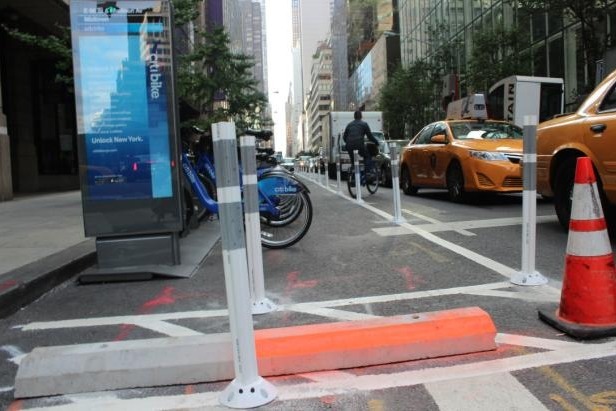 Ronald was not wearing a helmet at the time of the injury (not legally required for an adult), in which he collided into a concrete wheel stop (that was not painted at the time either) at the East 56th Street, and Madison Avenue Citibike station while riding a Citibike. Of note in this case, is that attorney Steve Vaccaro, of Vaccaro & White, whose website states: “Representing Injured Cyclists and other Accident Victims”, and “Client-Centered Representation for Accident and Crash Victims”, represented Citibke against Ronald, the injured party, presumably because the issue of forcing all cyclists to wear helmets came up as a legal argument, as some studies actually indicate that adding bike helmet laws discourages bicycling? Previously, Steve Vaccaro was once one of the lead attorneys fighting the City, and NYPD crackdown on critical mass which they lost. Brooklyn Critical Mass: Feel the Love from STREETFILMS on Vimeo. … but the ride still thrives in most parts of the world! 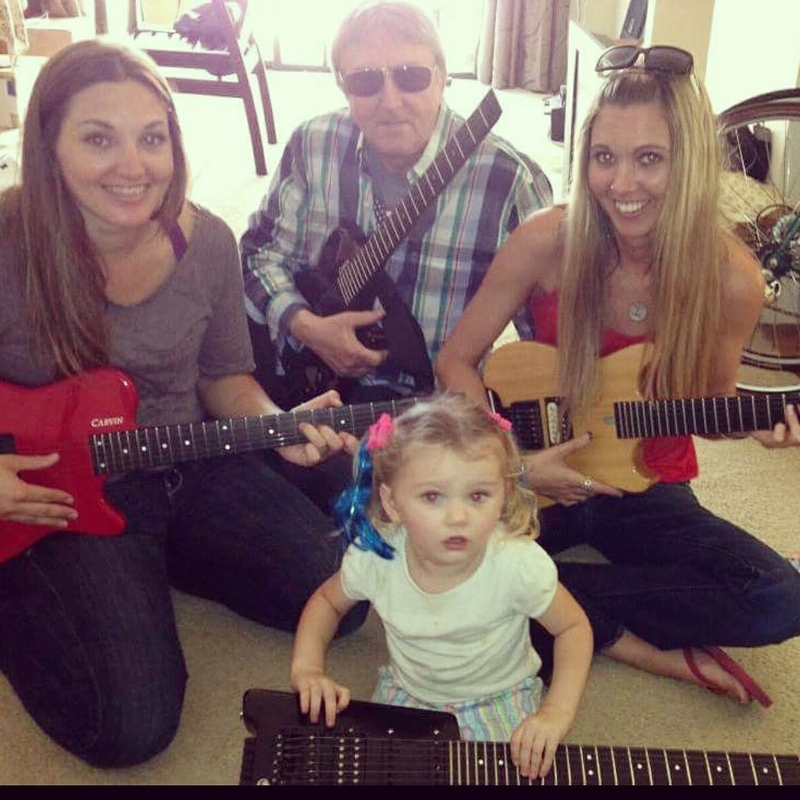 Over the last couple of years, so many rock icons have been dying, the latest being Allan Holdsworth (no relation to the bicycle manufacturer) on 4/15/2017, a little known “guitarist’s guitarist”, who wanted to be a saxophonist (his parents could not afford one, so he took up guitar instead), one of his childhood inspirations being John Coltrane who he is now compared to for his ability to improvise. 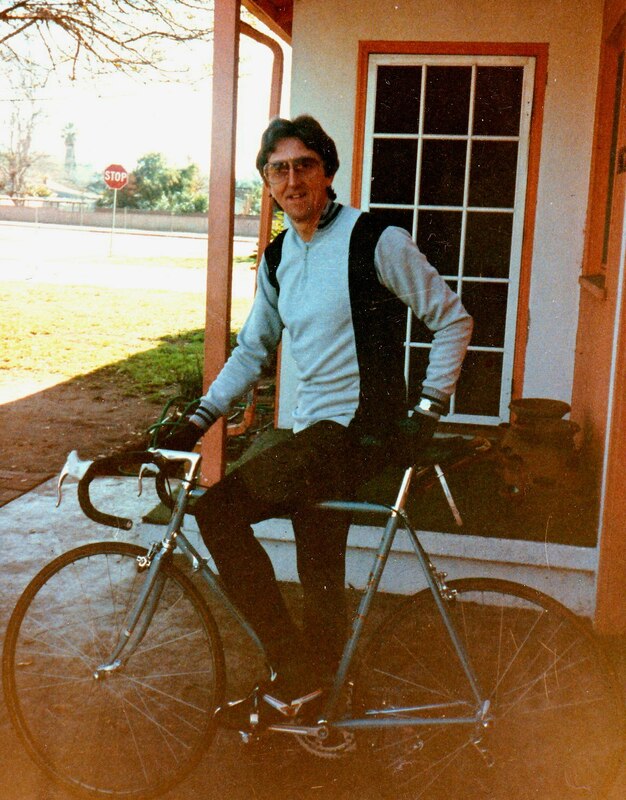 Allan Holdsworth’s home studio with bicycles. 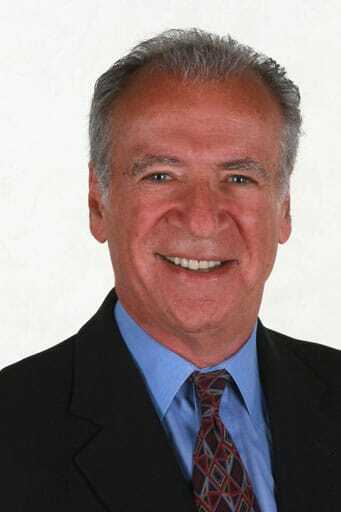 Photo Source: Alan Care 1991 Tustin, CA (from personal collection). 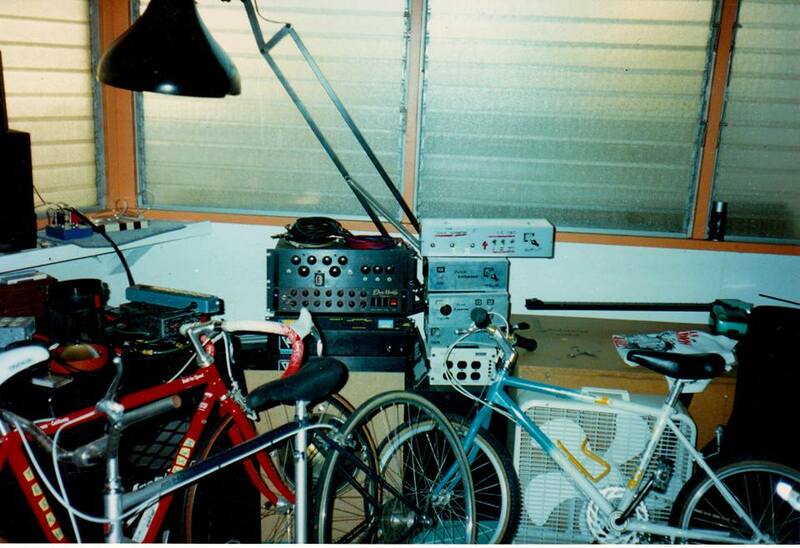 Allan Holdsworth’s home music studio with some of his bicycles and his SynthAxe. 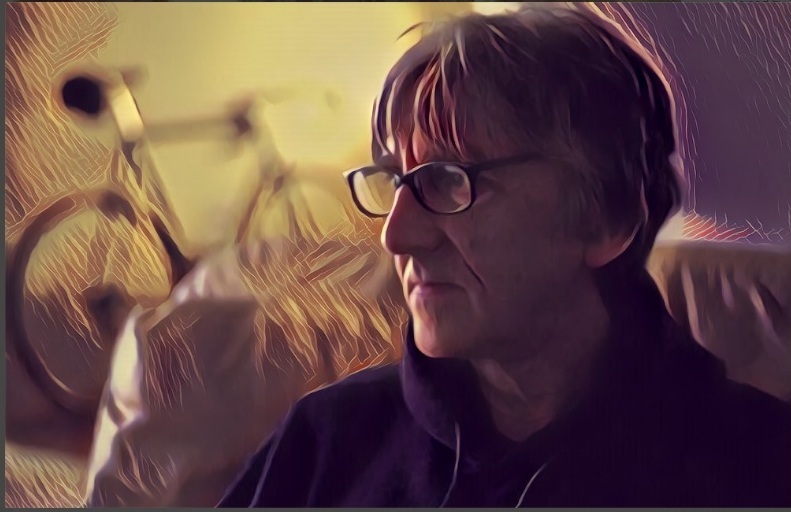 A true iconoclast, he dismissed one of his most well known classic recordings with the progressive rock supergroup U.K.: “I detested it, I thought it was crap, I didn’t even want to be involved in it. A lot of people like the things I hate the most” he said in a 1983 interview. As can happen with some geniuses, he was very individualistic and wanted to do his own thing, referring to U.K.: “he objected to the organized structures of a major touring band and left the group after its first self-titled album in 1978.”, the result of which, he reportedly died poor and without the mainstream fame he likely could have had, but happier with his own solo projects. On one of those, Hard Hat Area, the song ‘Tullio‘ is a reference to one of his cycling heroes Tullio Campagnolo, the inventor of the quick release skewer, among other cycling components, on Secrets appears ‘Spokes‘, and With a Heart in My Song with pianist Gordon Beck includes ‘Sundays‘ which is supposed to be bicycle related as well. Sadly, towards the end of his life, Allan was unable to ride his bike do to balance issues, according to his daughter Louise. Photo source: Daughter Louise Holdsworth’s facebook page (notice the two bicycle wheels in the upper right hand corner behind the Holdsworth family). The ‘happy ending’, if you can use that phrase here, is that a gofundme campaign which set out to raise $20,000.00 for his funeral expenses has already broken $107,000.00 as of this post, a testament to how his death has impacted his fans. 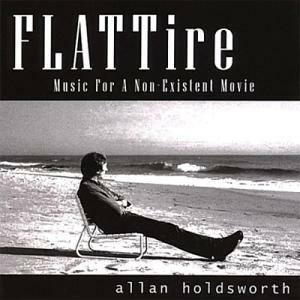 Countless musicians have praised Allan Holdsworth’s guitar playing and innovative, independent nature, and are paying their respects including Bill Bruford (Yes, King Crimson, U.K., Genesis), Eddie Jobson (Roxy Music, U.K., Frank Zappa), Jean-Luc Ponty (Frank Zappa), John McLaughlin (Tony Williams Lifetime, Mahavishnu Orchestra), Stanley Clarke (Return to Forever), Dweezil Zappa, Vernon Reid (Living Colour), Steve Vai (Frank Zappa), and Eddie Van Halen (Van Halen) who once said “He is the best in my book”. Allan’s former U.K. band-mate, Eddie Jobson, will be performing some U.K. tunes that Allan’s guitar playing was featured on, as part of the “Fallen Angels Tour” at BB King’s in NYC on 5/4/2017, that was actually organized before Allan’s death as a memorial for John Wetton (King Crimson, U.K.), and Keith Emerson (ELP), who both recently passed away, as well as Greg Lake (King Crimson, ELP). More formal public memorials for Allan will likely take place in California later this year. RIP Allan Holdsworth (6 August 1946 – 15 April 2017). 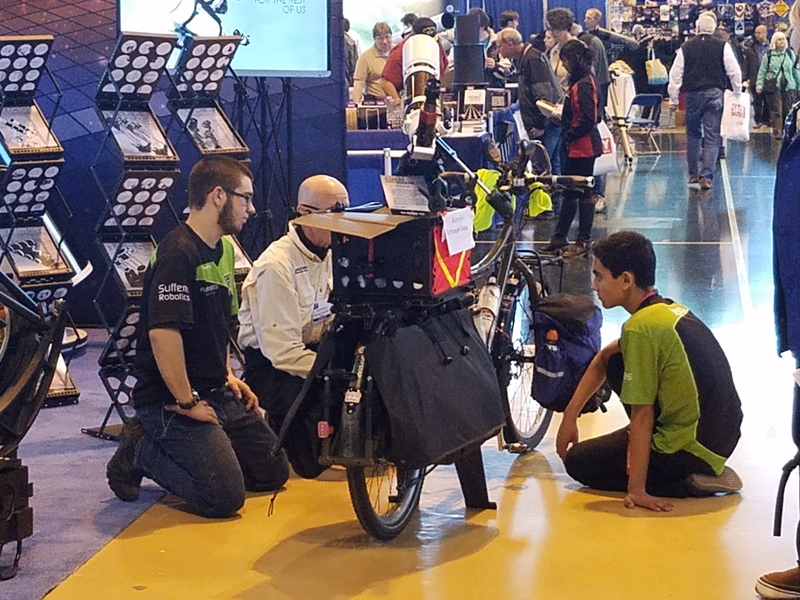 Last weekend at NEAF (the largest astronomy show in the world) held annually at Rockland Community College, it was surprising to meet a cyclist, Gary Parkerson, the ‘face’ for the Pedaling Astronomer Project. Gary, 62 years of age at the time he started his solo, self sustained bicycle journey in May 2016 across the United States carrying an entire mobile astronomy lab with him from New Orleans, LA, plans to keep biking to as many of the lower 48 United States (originally set at 13,500 miles), before ending his trip in Nashville, TN for the August 21, 2017 Great American total solar eclipse (75.0% visible from NYC), where he hopes to organize at least 1,000 cyclists to experience it with him. Already, Gary has made news in Hutchinson, KS (8/2016), Northridge, CA (9/2016), Southern, UT (10/2016), Moapa Valley, NV (10/2016), and Las Vegas, NV (1/2017), as well as providing very detailed information about his preparation for the trip (6/2016). 1. Paths to personal astronomical discovery are open to everyone. 2. Bicycle transportation is not only accessible, healthful and responsible, it’s fun. 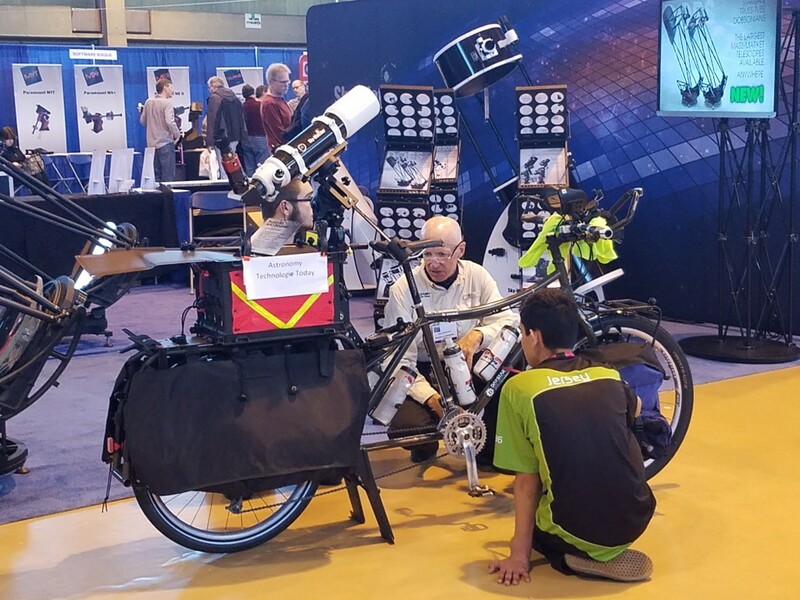 Gary will do this by attending as many astronomy, and cycling events as he can both large and small nationwide, as well as anyone he meets along the way. Gary, a self described ‘non-athlete’, is also not actually an astronomer either, but is the Managing Editor of Astronomy Technology Today a leading publication about the instruments and technology that amateur astronomers use. Believe it or not, several years ago, he had a medical condition that makes him unable to drive an automobile anymore, that is why he took up biking which was his primary mode of transportation, even before this trip. Gary rides a Surly Big Dummy long-tail cargo bike on his trip, he prefers to call “The Big”, that with all of his equipment, and camping gear, weighs in at about 150 pounds. An average biking day for him is 50 miles. 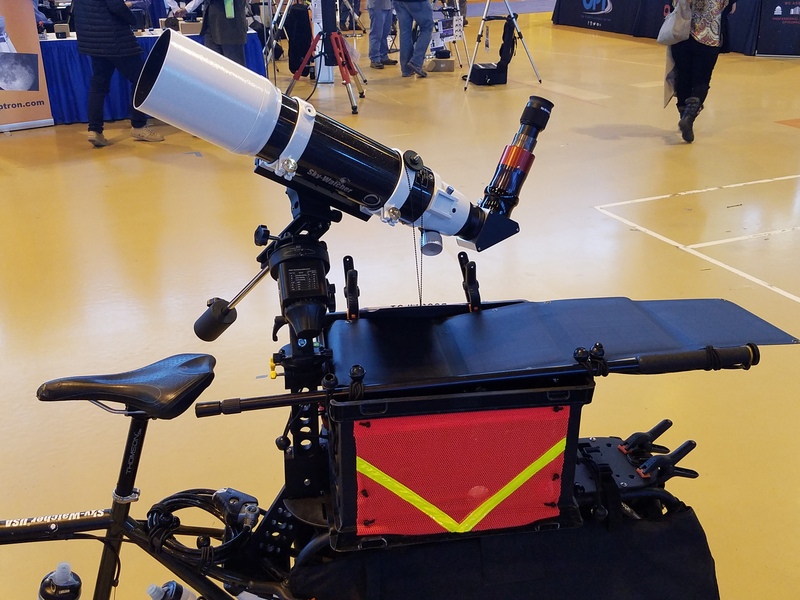 He also carries a least one refractor telescope, capable of being used for both nighttime, and solar observing, which he can attach to a specially designed mount behind his seat, when not biking. His future plans are to bike across Canada, Mexico, Europe, and Australia, all with his mobile astronomy lab, to carry on the same mission. 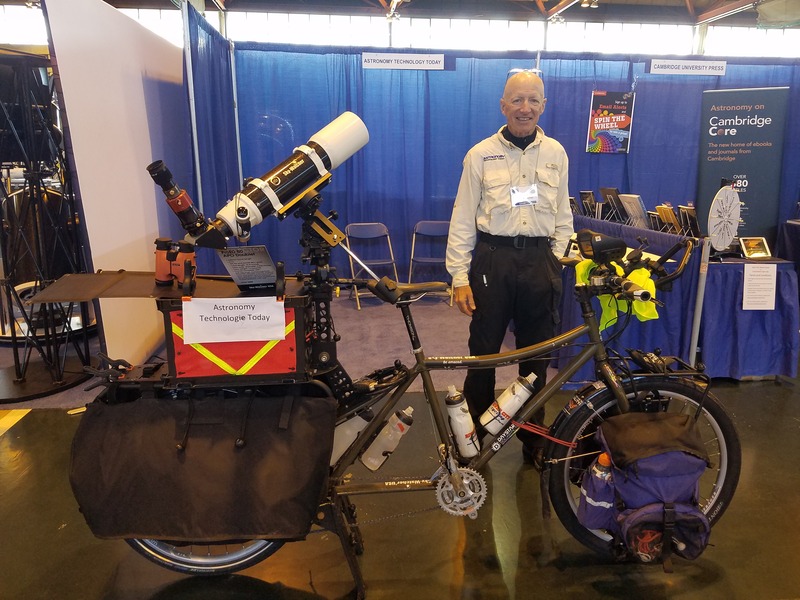 Gary says he will be back in NYC for the Bike Expo New York, in 2018, just missing the 2017 edition, which is in a few weeks, so stay tuned, if you want to meet, likely, the world’s first ‘pedaling astronomer’. In the meantime you can follow his adventure, on facebook. According to the event description, admission is free, as well as selling, though if you want to reserve a space to sell, that price is $10.00, as space is limited. Setup is outside, so the event happens rain or shine. 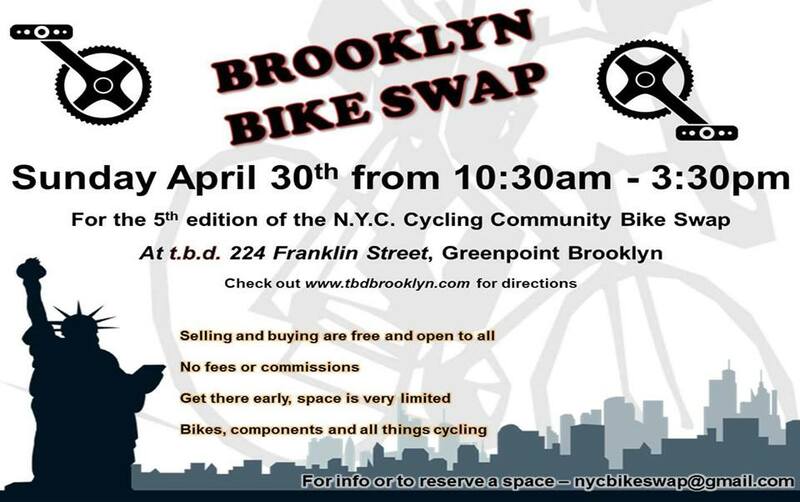 Email nycbikeswap@gmail.com for more information. This event is happening the same weekend, as the Red Hook Crit, which happens the night before.